Moving – whether across the country or down the street – is not the easiest thing to do. There’s a lot to handle between finding a new place to move and figuring out how to uproot your life and plant new seeds elsewhere. Thankfully, there are ways to make the whole process easier even if you’re about to take on a last minute move. Although this adds a whole new level of stress to the situation, every little detail can be handled if you approach it correctly. What exactly is the correct way? Every moving situation is a little different, but here are a few tried and true methods to make your life much easier. Regardless of when your moving date is or how far you’re moving, you need to make a list. This is going to be your main resource to check in with when you start to feel overwhelmed or you need to figure out your next steps. It’s a point of reference that keeps you calm, cool, and on-track. List all your major and minor items. Think about everything that needs to get packed up, the logistics of your move, and what you plan to leave behind. If you’re a detail-oriented person, create a timeline and set small goals for the move, too. This will take a little bit of time away from actually packing, but it does make a last minute move go more smoothly. As you’re listing everything out, make the big items your main priority. These are things like packing up your bedroom and your kitchen (must-have items) and figuring out how you’re going to get from point A from point B. Do you have valuable items you need to take special care of? Are there things you need to buy before you get to your new place? Take a step back and consider such things. Then, get to work. Once all your planning is done, packing should be your only focus. You need to have a system to it for this to go well, though. Take on one room at a time. Don’t waste too much thought on sorting things out or deciding what stays and what goes. You’ve already made your list of the major items to keep/get rid of, so the smaller decisions like which t-shirts to keep or how many blankets to take don’t matter right now. The point is to pack and to pack quickly. The sooner you get this out of the way, the quicker you can make your move happen. One way to pack quickly is to leave your clothes on the hangers. Think about how much time you’ve wasted packing for a vacation or even gathering your gym items together in the morning. This time multiplies when you have to pack all the pieces of clothing you own. Cut it in half by hanging instead of folding. If you’re worried about delicate items or clothes falling off the hangers, take a trash bag to them and make a hole at the bottom. Slide your hangers through the bag with the ties hanging down and tie them to secure your clothes. Speaking of trash bags, keep a few of those handy. You’re going to need them as you find all the random things you don’t need anymore. The trick is to not focus on taking out the trash until the end. Simply put all your throw-away items into piles within each room as you pack. Once you’re done, go through and bag them all up then make one trash run. What about the big things you can’t throw away? You know, like the couch set you can’t take with you or the old mattress you want to get rid of? Donate these items. Most of the time, you can call ahead for a pick-up from large charitable organizations. If a pick-up isn’t possible, you have two options: call a friend with a truck or sell these items for a great deal. If someone you know has a truck, you can get the drop-off donation taken care of in one afternoon. If selling is your best option, a low rate makes it easy to find a buyer within the short amount of time you have. There’s one thing you can’t forget about as you’re handling all your moving tasks: moving day! This may sound a bit backward but think about it for a second. What are you going to wear on the day-of? Won’t you at least need toiletries and some sort of sleeping arrangement for your first night in a new home? It’s better to plan for these things than to leave them to chance. Preparing an overnight bag and a change of clothes should only take a few minutes out of your time, but it makes a big difference in the whole process. Another essential you can’t afford to overlook is snacks. Moving takes a lot out of you, especially when it’s a last minute move. A little bit of extra energy can go a long way. Stock up on snacks that don’t need to be refrigerated and you can eat on the go. These are things like trail mix, pretzels, and chips. Try to stay on the healthy side of things to get the most benefit. Fruits like apples, oranges, and bananas can last a few days and help your focus and mood while mid-move. Don’t forget moving has two parts to it: the pre-move packing and the post-move unpacking. Who’s going to help you unload everything once you arrive? Call a few friends you have in the area and ask them to help you on the day-of. Or, make one quick call to a moving services company and get this task sorted out right away. Whatever you do, be sure you think ahead just a bit. It really is best to trust in packers and movers when you’re changing addresses, no matter the situation. Whether you’ve been planning to move downtown for months or you’re making a last minute, cross-country move, it’s best to have a whole team you can count on. Movers offer you peace of mind, security, and not to mention, extra hands! They’re the support you need when it comes down to the wire and every step of the way, too. If a last minute move is upon you, don’t worry. The tips and tricks above are sure to make it much easier than your stress level may make it seem. Of all the items mentioned, though, calling professionals is arguably the most beneficial. Don’t wait any longer to get your logistics settled or put off the help of having extra hands around. 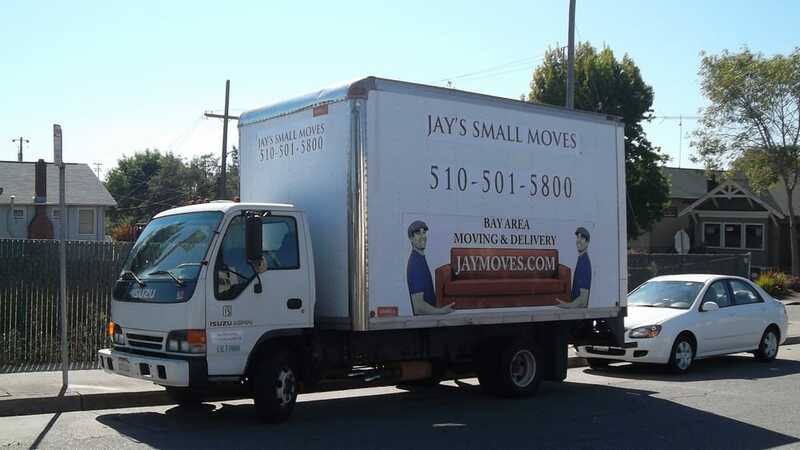 Call us today to get the moving support you need.